Two words.... JAW DROPPING !!!! I absolutely LOVED this book. 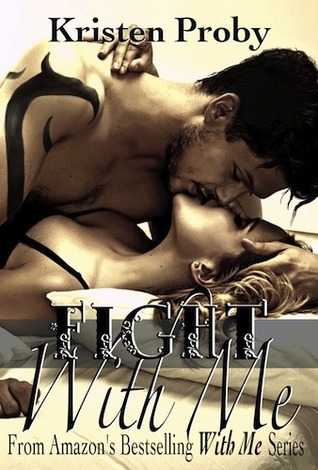 "Fight With Me" is the 2nd book in the series "With Me In Seattle". There are no words to describe NATE McKENNA. All I can say is that he is YUMMY!! There were several times throughout the book that I had to pick my tongue up off the floor. Nate has the "typicall" bad boy image, tattoos, former MMA fighter and a piercing in a "certain" spot, however he is far from a bad boy. He is thoughtful, generous, kind and has a HUGE heart. Julianne (Jules) is a great female lead in this book. I can actually say that I loved her throughout the entire book. She has never been in love before and Nate was sooo not on her radar. Nate is Jules boss and there is a NO FRAT POLICY at their place of employment.